Requiring the use of contractors places the liability of their training on you. For years, Safety Compliance Management has been providing the San Francisco Bay Area contractor safety management programs for firms utilizing contractors. Ensuring the contractors you work with are versed in the appropriate protocols for the duties and tasks they will be asked to perform is our specialty. Successful contractor management is becoming a high priority for many organizations, especially in San Francisco Bay Area. Increased liability from third-party lawsuits and significant risk of incidents often lead organizations to point to contractors as one of their biggest safety and health concerns. This is where Safety Compliance Management comes in. Our contractor safety management program will limit your liability, minimize incidents, and create an overall safer work environment. Safety Compliance Management has provided contractor safety management for a variety of Bay Area and California organizations. We have been involved with projects, working with both client and contractor to ensure all OSHA training and compliance requirements are met, and environmental regulations are adhered to. We have helped in the development and implementation of rigorous contractor pre-qualification programs, as well as assisted contractors in completing the pre-qualification process. Our experience in the field has given us first-hand knowledge. Finishing these programs can provide a unique perspective and innovative solutions to your contractor safety and environmental compliance needs. 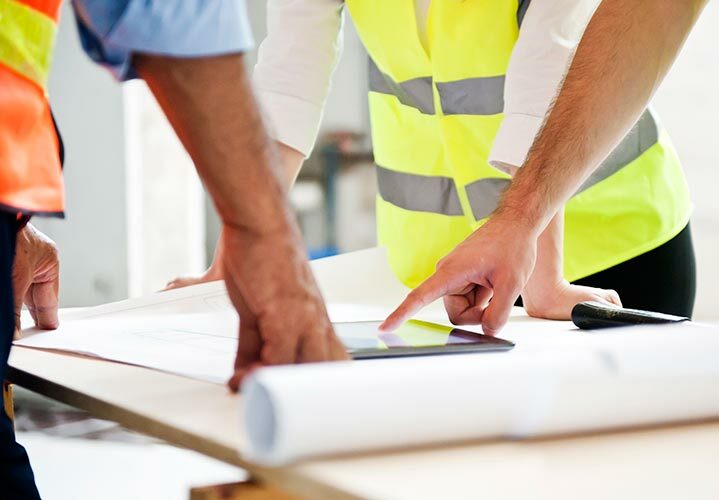 Once contracted for service, Safety Compliance Management has helped develop thorough, and efficient, contractor orientations, as well as contractor site oversight. Projects including the involvement of our professionals as part of the management team are known for being completed on time, within budget, and without incident. We strive to foster good relations between the contractors and the clients. Our belief that coordination is key to a safe and efficient job-site has helped us maintain a high level of success for our clientele and ourselves. From conceptual design, to project completion, Safety Compliance Management has got you covered! Pick the right firm to handle your contractor safety management program. Call us today! Focusing on prevention, through design principles, Safety Compliance Management professionals can assist in project planning to ensure that risks are mitigated as early as possible in their lifecycle. These principles are proven to not only be the most effective way to reduce risks, but also can reduce project costs and increase efficiency. The knowledge provided in our contractor safety management programs reduces the likelihood of an incident, and prepares contractors to deal with real world situations calmly and with confidence. A safe, incident free workplace is priceless.